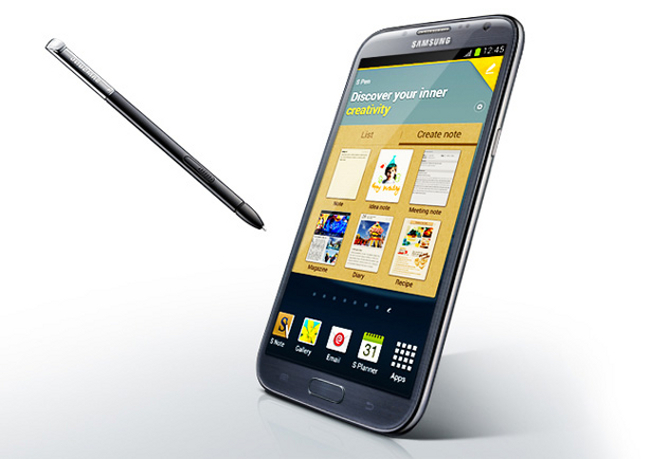 Does Screen Size Matter Between Phablet and Tablet? 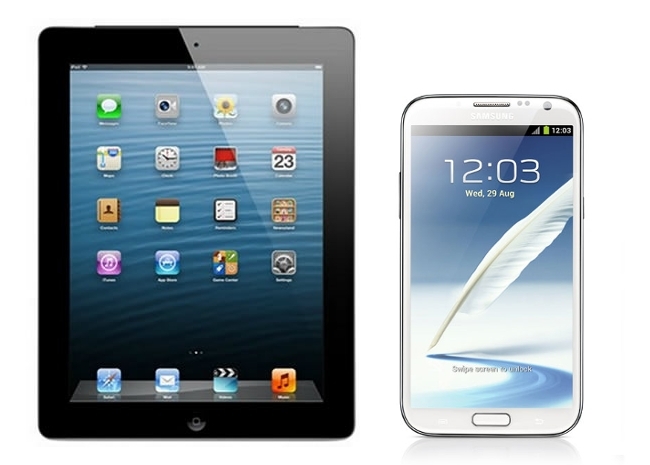 It’s an onerous question to answer that in 2014, should we buy a tablet or a phablet? Palpably, when some phones hybrid with tablets, then a term has coined in the world of communication devices, which is now designated as phablets. 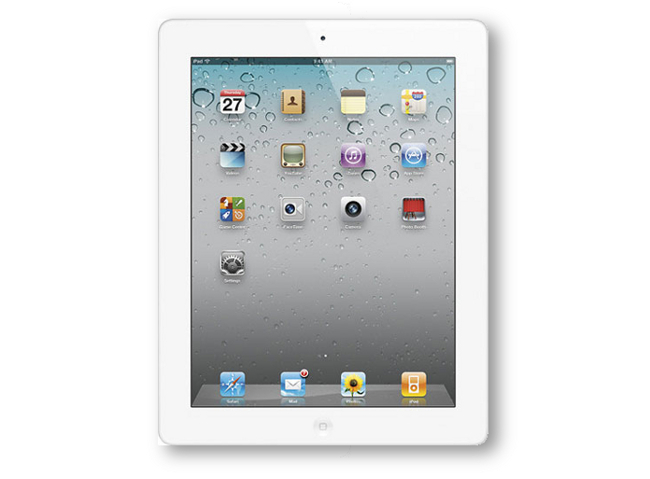 It has designed to combine the functions of a smartphone and tablet. 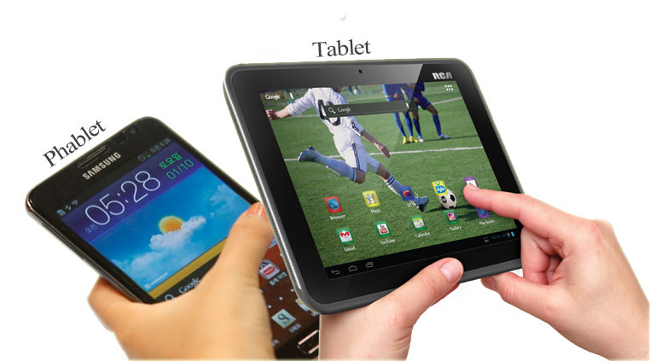 The gadget has a screen that is too big to be a smartphone, yet too small to be acknowledged as a tablet. However, the phablet is a comparatively new term in the market so that most people may not know that it incorporates a screen size between 5.1 and 6.9 inches while the other portable computing gadget, tablet confers the display between 7 and 15 inches. Perceptibly, the demand of bigger screen size equipped mobile phones among the folks is increasing because in some instances they are still better than the tablets. The large-screened phones are capable of doing pretty much the same job, with perhaps more attributes and specs are also teemed into their smaller armor. By cognizing this necessity of prospective buyers the smartphone manufactures have developed this six-plus inch displays that can hide owner’s face during a call and doesn’t correspond in many pockets. 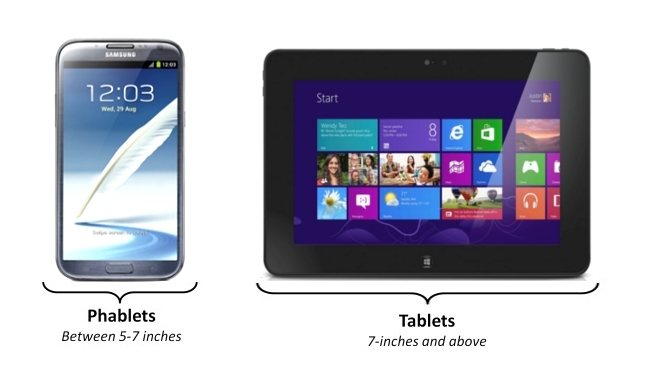 As these are phones, which are approaching the size of tablets and can eliminate the need for tablet. However, the preeminent South Korean giant, Samsung is currently dominating in the smartphone and the tablet marketplace with its Galaxy series such as Note 3 and Note II. Here, if we take a look on the other phablets , which are the most favored and pleasing among the consumers, then LG Optimus Vu, Panasonic Eluga Power and Huawei Ascend Mate are almost comical in this listing. 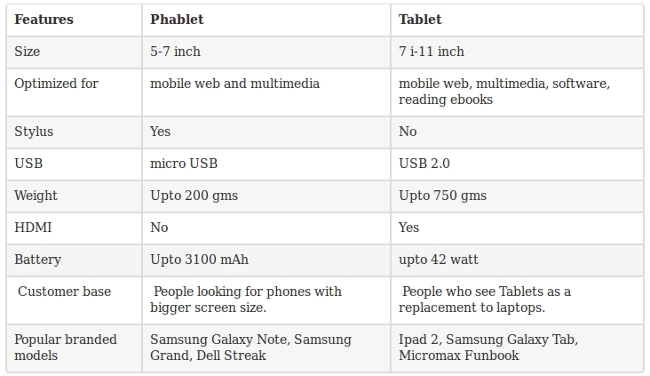 Withal, shelling out some other differences between tablet and phablet, it seems little obligatory to mention some of the points, that phablets are commercially gaining some acceptance due to the inclusion of all connectivity options offered by tablets and smartphones at reasonable prices. As a matter of fact, tablets are not designed for portability and they are just too big to use in making calls, while having calling features just like smartphones, a phablet may be large but it is yet handy to carry around hassle-free. Hither, talking about the camera, a budget-phablet can have 8 or 13 megapixels rear camera such as popular Note 3, Huawei Ascend Mate 2 and Galaxy S4. However, some manufacturers include the rear cam in their tablets, which bestow low resolution images and less than 5 megapixels of sensors, but low-cost tablets often have no such functionality. Moreover, you might be thinking about the battery lifespan of both the devices, then here I would like to make you apparent that an inexpensive Phablet can even deliver up to 15 to 20 hours of talk time on 2G, whereas a voice calling enabled-tablet can render as little as 10 hours of talk time, which belongs to same price range. Hither, it immediately begs the query, which would win the tablets & phablet battle? Notably, the biggest dissimilarity between the two is that a phablet is easier to carry round and can be utilized as a smartphone whereas a tablet may be too heavy and large to carry around as a mobile Phone. When it comes to shelling out for a new tablet or smartphone, there is no denying that a tablet often comes with more inexpensive monetary value. These are also great for browsing the internet and watching films. Furthermore, when you will add the price of buying a smartphone along with the tablet, the total expenditure can often surpass the cost of just a phone. The phablet come across as a device that entitles the user to surf the web as well as other online activities alongside several tasks as per their requirement and what they desire from a tablet. As its name clearly suggests that it simply merges the tablet and phone and stands as a clear conqueror in our eyes in the tablet vs phablet battle.